In our first instalment of Dedication to Education, we’re looking at the calorie demands of getting smashed in rugby. In other words, are collision based sports such as rugby more calorie demanding? Long story short, yes. Collision induced muscle damage (CIMD) increases your total daily energy expenditure. This would suggest that the more contact you experience, the greater the muscle breakdown and the greater need for calories/energy to recover. Short story long; In a fresh off the press study by Costello et al (2018), they looked at how many calories you need extra per day if you had contact in training at the start of the week versus a non contact training session. The players then followed the same pre-season training programme for an additional four days. By doing it this way, any changes in energy expenditure will most likely be down to the collisions experienced at the start of the week. To make this a ‘real-world’ scenario, the players completed 20 collisions which resembles that of a standard game. By using the gold standard method for measuring energy expenditure (Doubly Labelled Water), they found that their calorie needs increased by 5% over a five day period. In addition to this, their ‘intervention’ rugby session ratings of perceived exertion increased and their 5-day wellness (sleep quality, fatigue, muscle soreness, stress and mood) worsened. So, not only does contact in rugby increase the amount of energy you expend for the following 5 days, it makes you a little crankier in the process. This, most likely is due to the increased calorie demand of muscle protein synthesis (MPS) needed to repair and remodel the damaged muscle. This is often expressed as whole body protein turnover. I.e. the breakdown and creation After a typical weight training session, MPS will increase for 24-48 hours to help repair the muscle, but in rugby players, the muscle damage is much higher and can last for 5 days. This would suggest that it’s probably quite important that you eat a little more (5%) after games and contact in training. For those who are doing double contact per week, probably more again? Interestingly, days 4+5 wellness scores were the same as the non contact guys where sessions perceived exertion were actually lower in the remaining sessions of the week when they did contact first. Perhaps contact ‘sharpened’ them a little and had a better mindset going into the remaining sessions of the week? 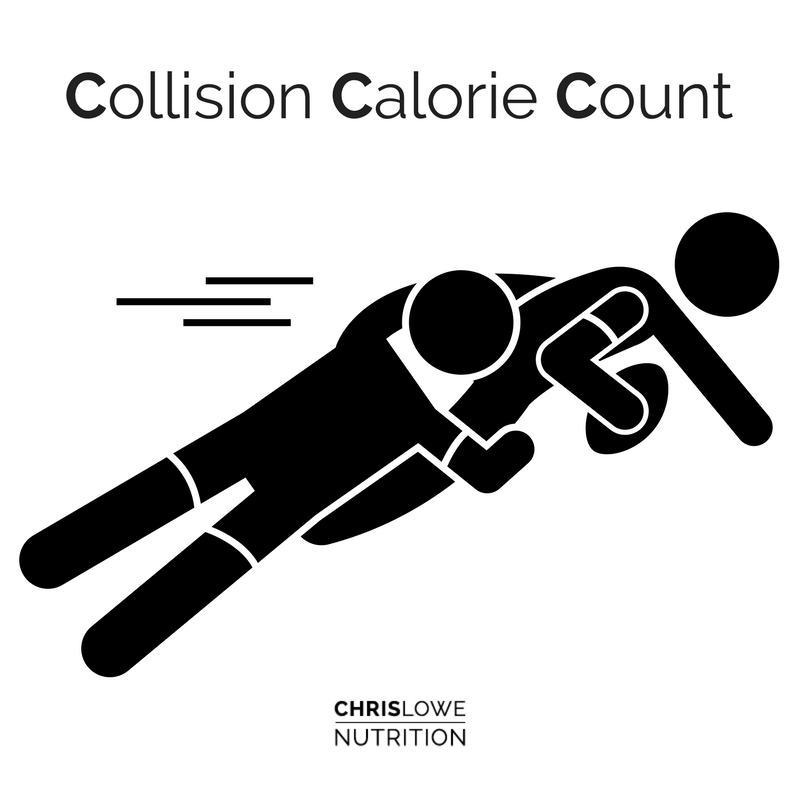 I don’t really know Back to calories; either way, calorie restrictions probably won’t be favourable for optimal recovery in the days following contact. So, it would make sense that you eat a bit more than usual to adapt and recover from your training.